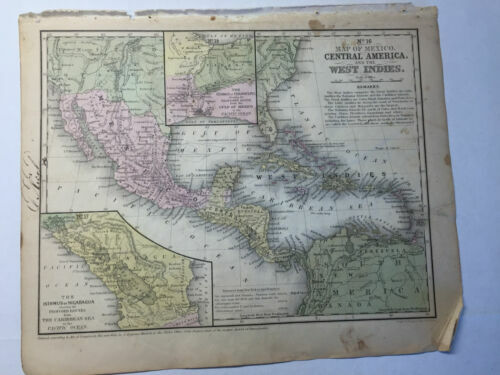 Antique 1883 colour map of SOUTH AMERICA - 130+ years old & VGC ! Antique Map We have Tallis maps from all over the world. Please contact us. 1860 North and South America BLACKIE Map. 1920 LARGE MAP SOUTH AMERICA SOUTHERN SECTION 23" x 18"
1920 LARGE MAP SOUTH AMERICA NORTHERN SECTION 23" x 18"